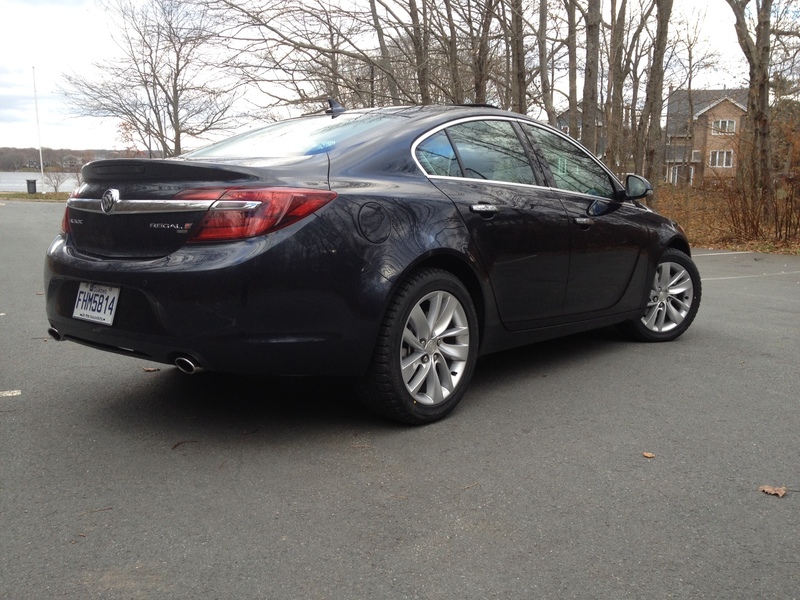 I’m starting to think GM really wants Atlantic Canadians to drive Buicks. 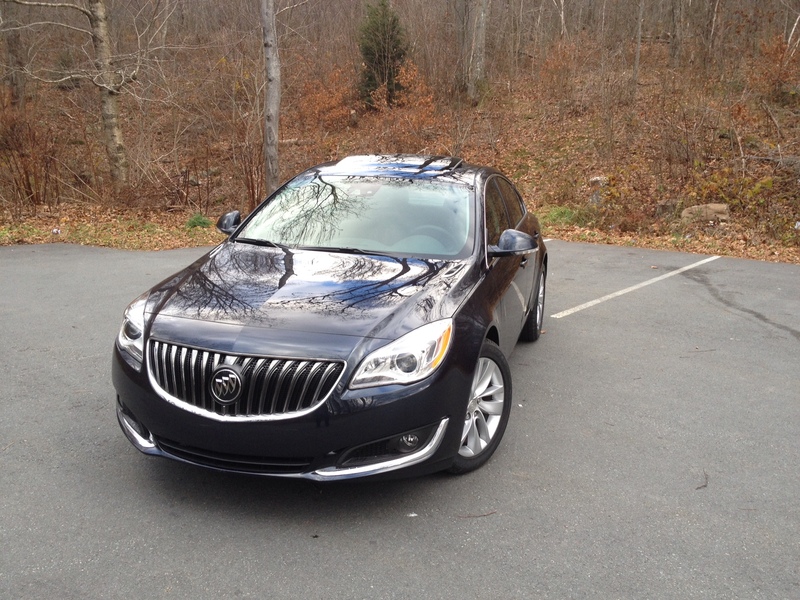 I’ve had an unusual number of Buicks as press vehicles over the years, specifically of the Regal. I’ve had the Regal GS, the Regal e-Assist and now I’ve had the opportunity to try the Turbo all-wheel drive. I suppose it could have something to do with value. We’ve long been lauded as one of the ‘have-not’ provinces so maybe GM wants to show us that we can still have cushy luxury without paying the prices of, say, a Cadillac. I’ve always liked the Regal in its current generation. The styling keeps the Opel Insignia shape all while adding styling cues which make it decidedly Buick such as the waterfall style grille and the signature portholes on the hood (okay, that’s one cue I could do without since they have absolutely no function). For 2014 the Regal gets a minor update which includes new new wheel styles and restyled rear fascia which nets you LED tail and brake lights. You’ll find revised headlights too which house LED daytime running lights and HID headlights. The revised look works and it works well. The same could be said for the interior. 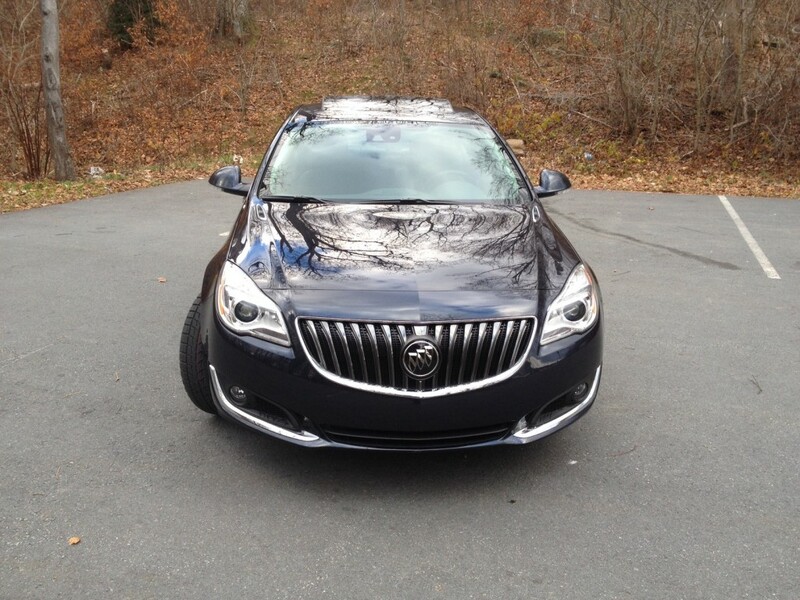 It feels plush, as a Buick should. New for 2014, GM has ditched the old start/stop button location which camouflaged itself in the centre stack and opted to put it where you’d expect, giving it a familiar circular shape. 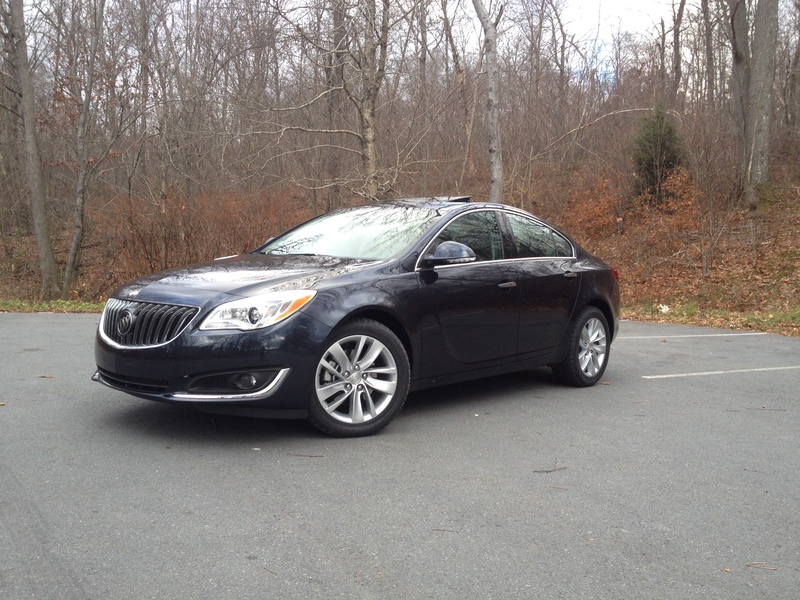 I’ve read that most reviewers like this better, but I actually thought it was clever of Buick to house it in with the rest of the other buttons allowing for a cleaner look. The problem is it doesn’t quite feel like a premium interior. ‘Lesser’ cars have advanced so far in interior quality that they’ve reached premium levels. 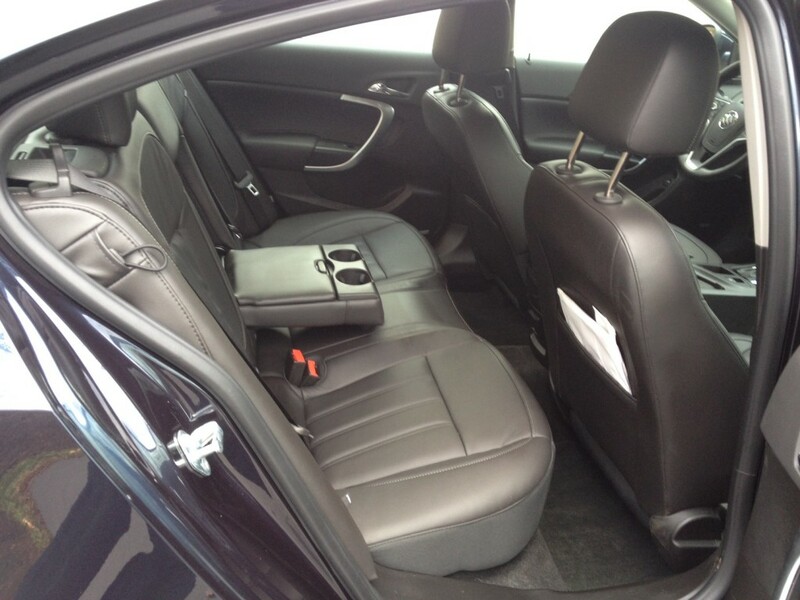 Have you sat inside a new Kia or Mazda lately? 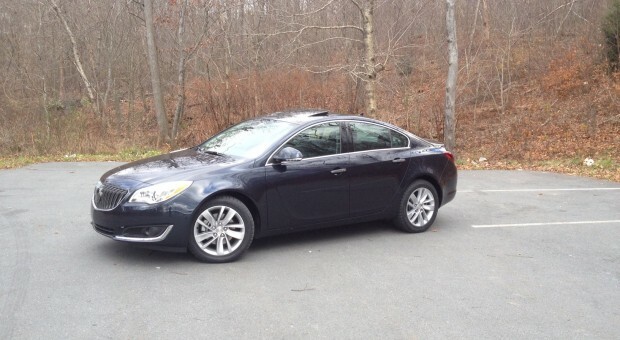 You can get the same feel or better in a mid-twenties Mazda3 or Kia Forte now. While there’s nothing necessarily cheap about the Regal’s interior, it’s problem is that manufacturers are now offering the same for much less. Rear seat room isn’t exactly spacious but it’ll do for most folk as will knee and head room, just watch your head as you enter and exit as that sloping roof line makes for a shallow opening. Speaking of shallow openings, you’ll find the same deal for the trunk, but it’s quite deep and cavernous. I find it a bit odd that GM is using traditional trunk hinges but at least they’re covered. Under the hood you’ll find a turbocharged 2.0 litre inline four making a healthy 259 horses matched to 295 pound feet of torque. And the good news is you’ll get this engine no matter which iteration you choose. Yes, even the GS has the same engine now. I’m not sure why GM gave the GS the same engine as ‘regular’ Regals because the thing is, it doesn’t feel particularly fast. There is some lag and once the turbo spools up you’ll notice a mild slingshot forward and that’s about it. The problem here is weight. The Regal is heavy and it certainly feels it. The good news is that heftiness translates into a solid feel on the highway and around town. The numb steering prevents any sort of spirited driving however, which is a shame because also new for 2014 is all-wheel drive, which my tester was equipped with for $2,200. The weight plus the numb steering means you have to take corners in a ‘regular’ manner which means the all-wheel drive doesn’t do anything for you except provide extra traction in the snow or gravel. And let’s be honest, not too many Regals will be encountering gravel in their lifetimes and even if they do they won’t be driven at rally car speeds. Because of this, my advice is to skip the all-wheel drive, equip it with good winter tires and you’ll be fine. Not to mention you’ll be saving money, weight and fuel in the process. Speaking of fuel consumption, I returned 15.3 L/100 kms in mostly city driving. No, that’s not a typo and yes, you can post similar numbers in full sized SUV’s. Aside from my trying to get the most out of the engine a few times, I was fairly light on the throttle; trying to get better fuel consumption. It had gotten to the point where I thought I would run out of gas before my week with the Regal was up. That means frequent trips to the pumps for owners. 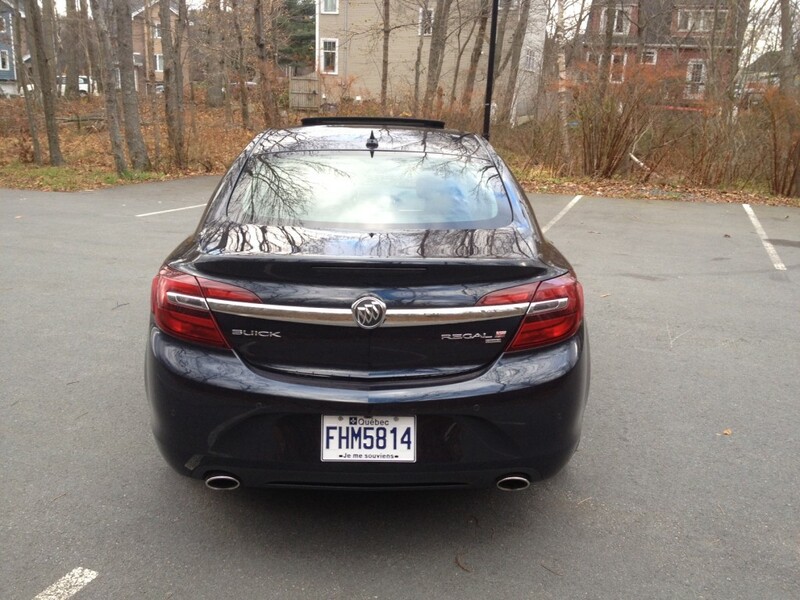 My theory on GM wanting all Atlantic Canadians to drive Buicks is therefore flawed. While it’s debatable whether we are still a ‘have not’ province, we are certainly a bunch that recognizes value when we see it. We gravitate towards it. And that’s why you don’t see too many Regals on the roads in this neck of the woods. For $46,000 this car is not worth it. We’re talking decently equipped German car territory here. 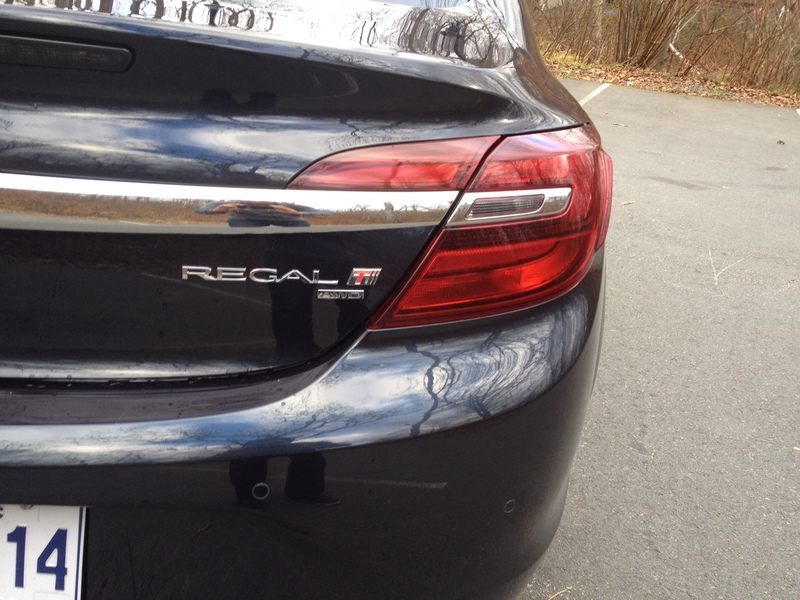 But I’m not saying the Regal is a bad car, I just can’t see why anyone would take it over a Mercedes-Benz C-Class or even a fully loaded Volkswagen Passat with 280 horses. If this car were about 10 grand less, then you’d have yourself an obvious choice over those two. You’d take the Regal. Or better yet, you’d probably have yourself a fully loaded Verano Turbo because while it isn’t the size of the Regal, the interior is roughly the same size, it has a peppy engine that is choice 9 horses short of the Regal and delivers much better fuel efficiency, it has decently good looks, better handling and is quieter. Also, crucially, you can have a fully loaded version for around $32K. It’s the real star for value here.